One of only two EU states to neither use the euro nor be bound to adopt it in time, Britain stands alone in insisting there will never be just one currency in the bloc, and Cameron demanded safeguards, particularly for London's financial sector, against being harmed by decisions taken by the euro zone. An initial draft secured assurances to that effect but raised concern in France that different banking regulations in London and the euro zone could unfairly benefit the former. A second draft introduces wording to strengthen the need for rules to be uniform among states inside and outside the EU banking union. A third draft sent to leaders early on Thursday and seen by Reuters shows an explicit reference to there being a "level playing field" in banking regulation. But it also places a full section on how to ensure that in square brackets -- denoting that only the top political leadership will settle the matter. Cameron is also pressing for Britain to able to hold up euro zone legislation if it feels its vital interests are at risk. Other states want Britain to need support from other states to trigger that move and tighter wording to ensure it has no veto. Cameron has secured a repeat of an EU assurance that treaty commitments to an "ever closer union" of the peoples of Europe are not "equivalent to the objective of political integration". But in a nod to federalists, notably Belgium, the later drafts say that, nonetheless, political integration "enjoys wide support in the Union". In assuring Britain that EU states retain sole responsibility for their national security, it adds: "The benefits of collective action on issues that affect the security of all member states is recognised." Belgian Prime Minister Charles Michel is still unhappy about setting a precedent of a legal guarantee that states do not have to participate in deeper political integration. Ensuring that reforms are legally binding and amount to a lasting change in the EU treaties has become a touchstone of domestic credibility for Cameron. Passages of the draft text, referring to euro zone issues and that of ever closer union, which say that EU leaders agree to incorporate "the substance" of their agreements on the euro zone and sovereignty into EU treaties when next they come up for amendment remain in doubt. EU officials say that an agreement among leaders at the summit will constitute a binding intergovernmental treaty and so a pledge to treaty change may be unnecessary. Many governments fear that a mounting euroscepticism across Europe will make it very difficult to win popular ratification for new EU treaties. Some officials say even a mention of future "treaty change" in the proposed text may create problems of ratification and would rather it did not appear at all. However, negotiators say they recognise that it is politically important for Cameron. Long seen as the trickiest of the British demands, the EU offered an "emergency brake" mechanism to help Cameron fulfil promises to reduce immigration from the EU by curbing welfare benefits to EU workers for up to four years after they arrive. Most governments have accepted that extraordinary circumstances give Britain the right to apply this "brake". But Poland and its eastern allies want to limit to four years the period Britain can penalise their citizens. The text sets a maximum of four years during which an individual can be denied benefits. But it refers to the total period that a state can exercise the emergency brake only as " years, extendable for two successive periods of years and years". 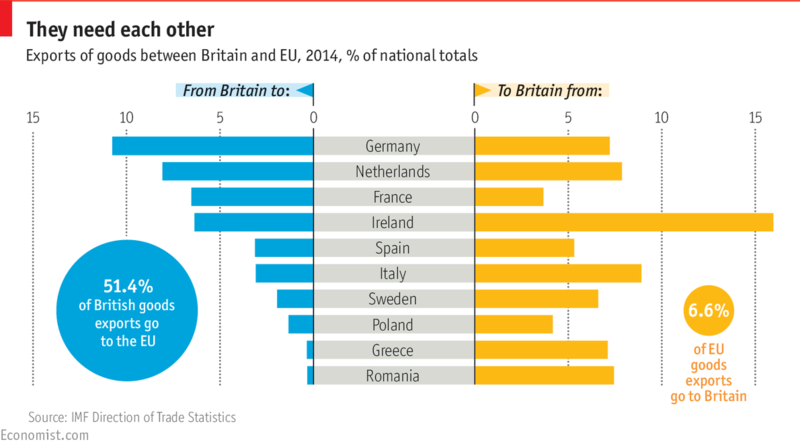 Britain would like that to add up to at least seven - equal to the period it did not exercise its EU right to bar Eastern European workers after they joined the EU in 2004. That early British welcome to workers from the ex-Communist east appears in the final draft, which says one ground for using the emergency brake relates to countries that did not bar new members' citizens for a transition period. That wording aims to reassure those worried that states other than Britain may try to use it. The final draft also includes the word "non-contributory" in defining the kind of benefits that can be withheld -- very few states other than Britain offer significant payments like that. Some East European officials indicate they could accept the emergency brake being used for up to seven years -- perhaps three years extendable for two years then two years. However, they want tight limits on a proposal to let states cut child benefit for workers whose children live in poorer states by indexing them to living costs there. They want that to apply only to new migrant workers and ideally only to Britain, not the whole EU. Britain sees the limitation to new workers as unviable. Other rich states want to be able to cut payments too.